The Middle Atlantic Products Credenza Rack Finishing Kit (Contemporary, 2 Bay, Solid Doors) allows you to easily integrate and assemble the C5 series Credenza Racks. You can use the finishing kit for constructing 2 bay Credenza rack models that integrate solid doors and sport an aged cherry finish. Invoking a contemporary style, the finishing kit attributes clean lines and smooth hardware to the rack. 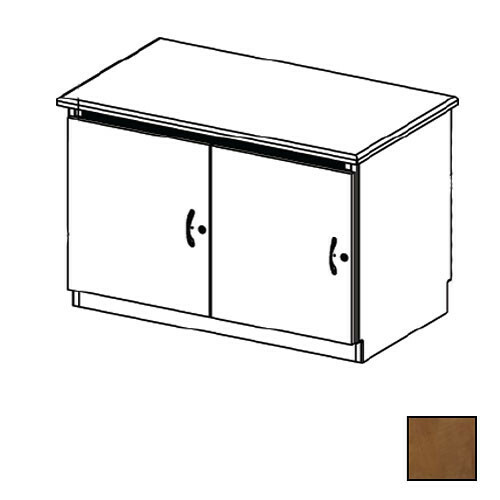 You can use the finishing kit for integrating the 120V and 220V Credenza frames. The C5 series of Credenza Racks also include front and rear 14 space rails, casters for easy mobility, and thermal management via two thermostatically controlled 59 CFM fans per bay. Note: A complete system includes the frame and the finishing kit - when ordering a finishing kit the frame must also be ordered. Box Dimensions (LxWxH) 63.0 x 31.0 x 14.0"